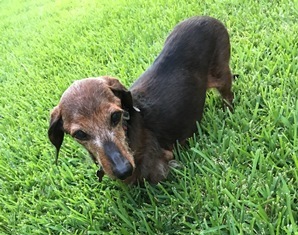 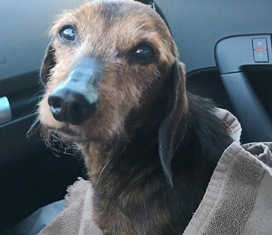 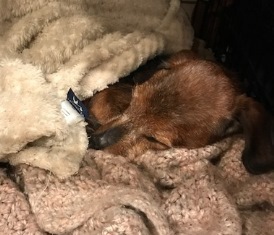 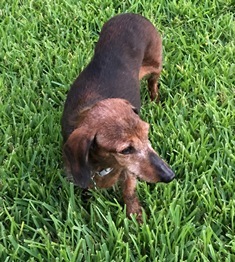 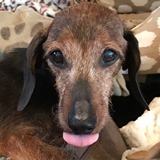 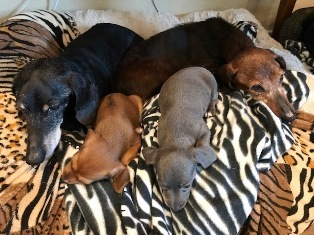 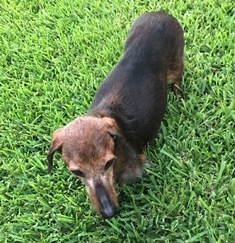 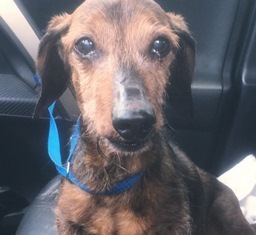 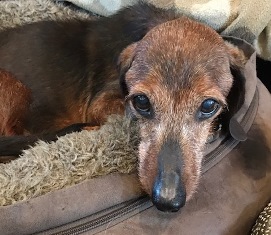 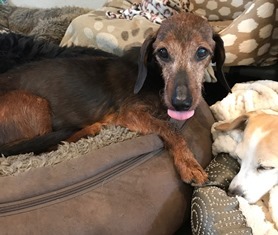 Snoopy is a senior age, tweenie sized dachshund. 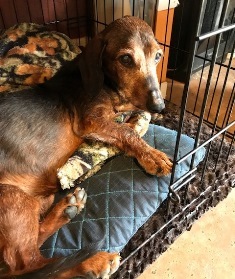 He is housebroken and uses the dog door. 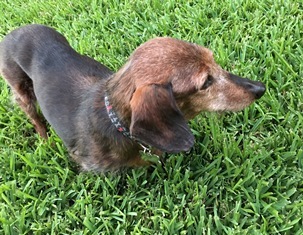 He likes to walk around the yard and does well on a leash when he is taken out for a walk. 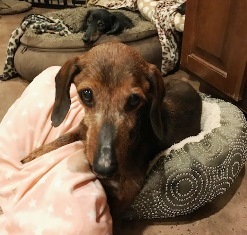 He is good with children and accepting of other dogs. 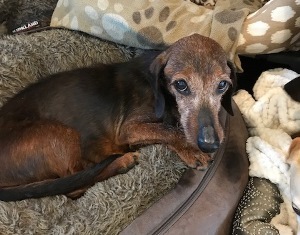 One of his favorite things to do is play with stuffed squeaky toys. 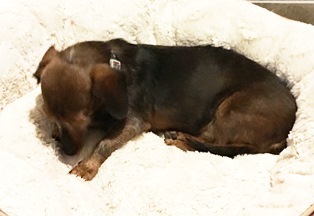 He does well when left at home, and does not show any signs of separation anxiety. 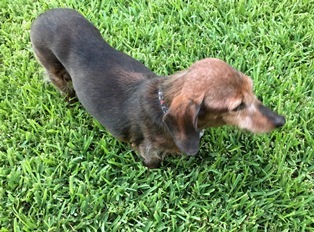 He is a smart boy, and responds to whistling when he is called. 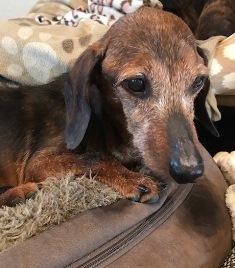 Snoopy is a super lovable, affectionate, loyal older dog. 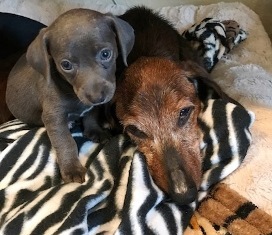 He's going to make a great addition to someone's family and is a great kisser too!